Assessment is never easy. Not because adding the assessment into Classroom Monitor isn’t easy (obviously! ), nor because uploading evidence isn’t easy (have you seen our free app?!). It’s tricky because all anyone really wants to do is the best for the child in question and that is no easy feat. Whether we call them a 4B, a 2Secure, or a P6ii…what really matters are the same three questions which we ask when assessing pupils – Where are they now? What do they need next? And, crucially, how we can get them there? However, whenever, how often, and for whom you choose to record such things is not nearly as important as finding out the answers to those questions and putting in place teaching and learning that allows the child to progress. That applies to every child, regardless of ability. In an ideal world every child would progress along some pre-plotted line which points ever upwards – like a diagonal assessment rainbow with a pot of university offers at the end. Learning can shoot forward suddenly or plateau for months on end. This is truer for the children with SEND than any others. SEND pupils may have spikey profiles, or pretty flat profiles if you use “working towards the expected standard” as your marker for graphing progress. SEND pupils may be working well above their age-related peers in some areas, and well below in others. If you have children in your cohorts – or maybe your whole cohort – who do not represent one descriptor or another across a whole subject, then we must find ways to section that off and drill down further. It stands to reason that in most cases a pupil with SEND, if you attempt to give them one overall grade of some sort, will show on tracking as simply “working below” or “emerging” or whatever else we call it. Personalised learning will, for children with SEND especially, be taking place in the classroom. So, let’s ensure there are ways for that personalisation to appear in your assessment practices and data analysis. In Classroom Monitor we have provided many ways to ensure personalised assessment is a very real and tangible process, which can be approached from a whole school perspective, to cater for a few individuals or even to ensure one student is included fully and appropriately. For further reading on these you can also see our previous blog “Making Assessment Inclusive” and our ideas on “Turning the deficit model into the achievement model” which have sparked conversations and provided ideas on how to make assessment relevant for pupils with SEND. For now, here’s a reminder of why Classroom Monitor is the most inclusive assessment system available for both mainstream schools to support your SEND pupils and SEND settings of all kinds. 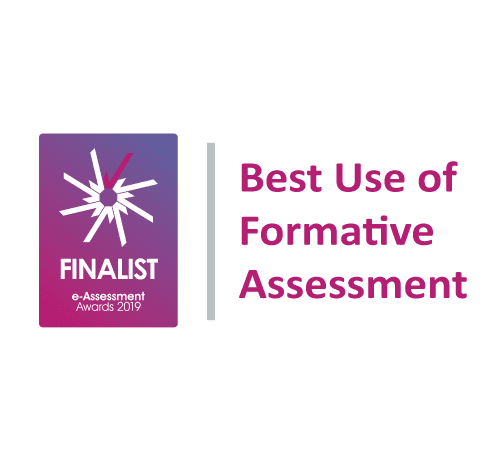 Your school’s assessment should be personalised too! Assessment Summaries are simple outputs which give a full breakdown of assessment progress and evidence from the markbooks – a focus on the attainment and gaps of pupils rather than a banding/grade. With a choice of four outputs you will find everything you need to provide meaningful assessment data. Using the reordered Class Markbook to aid with planning can save teachers time in ensuring pupils get access to the most relevant interventions when needed, particularly for SEND pupils working in mainstream cohorts. See our new CM2018 page for more and even more powerful re-ordering options. The Curriculum Customisation Tool allows you to have full control of your school curriculum. Whether you need to take out statements which are not relevant, add in some smaller steps or to simple change the assessment weightings, the customisation tool gives you scope to meet the needs of every pupil – putting the curriculum before the assessment, where it should be. You can also add entire subjects from scratch or add columns to include tests scores from a whole range of commercially available tests, or ones you create yourselves. The Curriculum Tracking Tool gives subject leads, SLT and teachers the chance to really impact on medium- and long-term planning by focusing on overall curriculum strengths and weaknesses. You can also build up a picture of year group, small group and whole school progress across the curriculum – flipping assessment on its head to focus on the subject strands rather than the individual pupils for a fresh new way to look at your data.